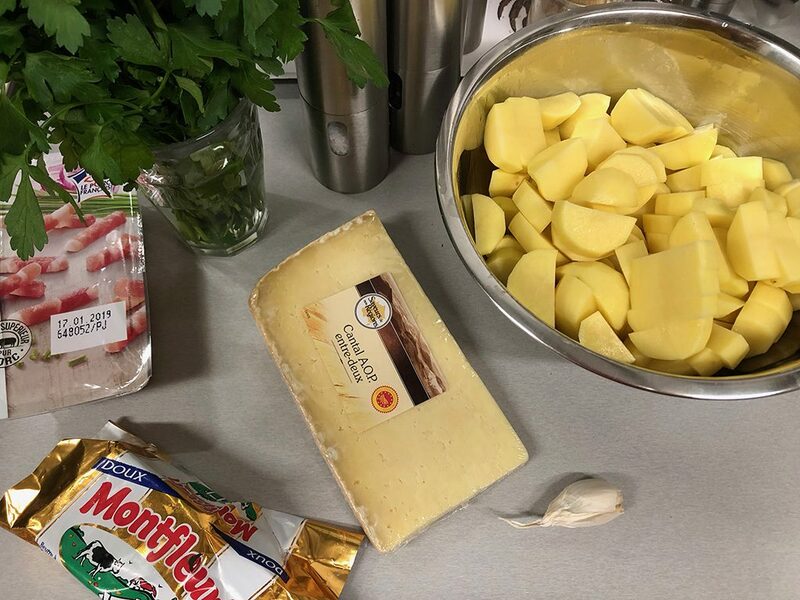 Truffade is a classic dish from the Auvergne, France. 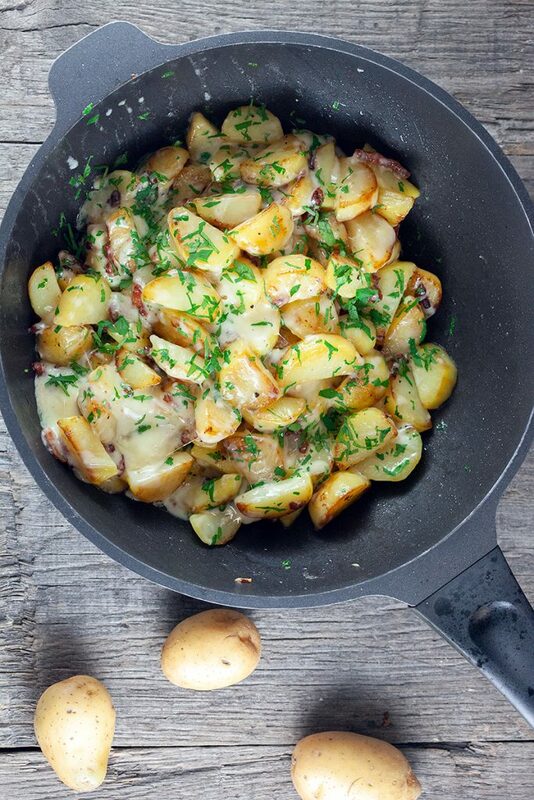 Who doesn't love the combination of potatoes, cheese, garlic and bacon? Mmm simple perfection! Peel the potatoes and divide them into quite thick slices. 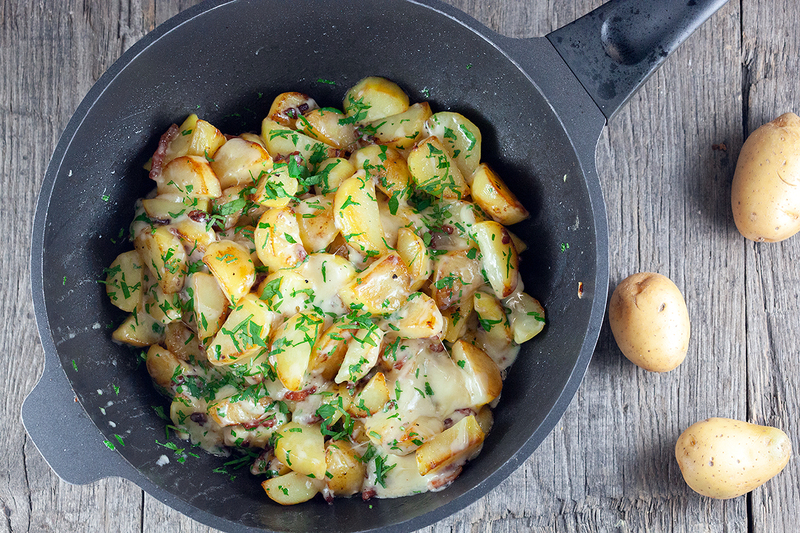 Heat a knob of butter in a large skillet and cook the potatoes for about 20 minutes on medium-high heat. Stir them occasionally so they’ll cook evenly. Divide the cheese into cubes and set aside. Peel and finely chop the garlic clove, also finely chop the parsley and set aside. Turn up the heat and cook the bacon and potatoes for a few minutes more. Season with pepper and salt and cook until they’re starting to get some color. Add the cheese cubes and finely chopped garlic as soon as the potatoes are done. 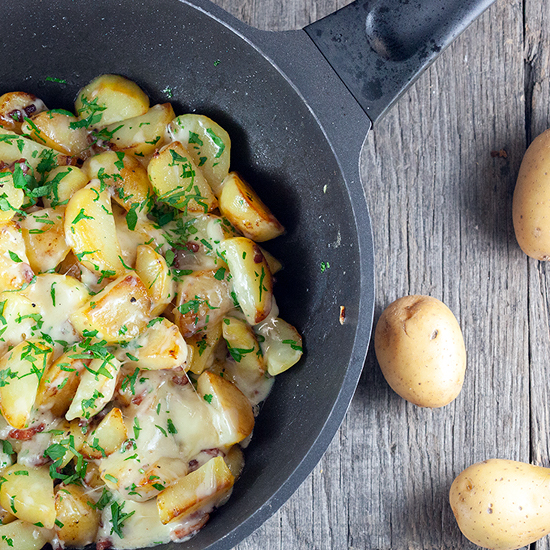 Stir the cheese into the potatoes, you’ll notice it melts easily. Stir in the chopped parsley and serve immediately with a salad. Enjoy!